In the forthright prose of its eponymous heroine, Benton s heartrending debut novel gives voice to the plight of unwed mothers in late-19th-century Philadelphia. 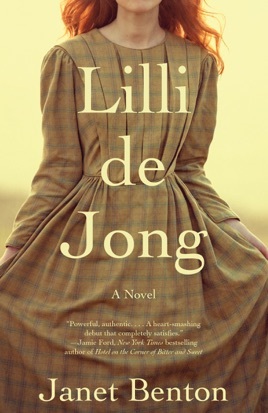 Instead of starting a new life with her fianc , 22-year-old Lilli de Jong discovers that she is pregnant. Once sheltered by her Quaker community, Lilli can no longer associate with respectable society, including her own family. The Philadelphia Haven for Women and Infants promises Lilli a reputable adoption and a fresh start, albeit one built on lies. But nothing prepares Lilli for motherhood and the cruel world beyond. She dares to keep her daughter, but must choose, again and again, between her principles and necessities. Told through Lilli s journals, the book offers a distressing window into the intersections of motherhood, independence, faith, and class at a time when even affluent white women had little control over their lives. Benton s exacting research fuels Lilli s passionate, authentic voice that is as strong as a hand on a drum... that pounds its urgent messages across a distance. Most poignant are the heartfelt depictions of the dualities of motherhood, a land where pain and joy are ever mingled and where every move has consequence. Lilli s inspiring power and touching determination are timeless.